Hajipur's banana farmers are angry. But can they transcend caste to get their way in #BiharPolls? Why are banana farmers angry? The rage is clearly visible on the face of Naresh Prasad Singh, a 50-year-old farmer from Jadhua in Bihar's Hajipur district. Despite the lavish campaign of the NDA and the Grand Alliance and the tall promises made by both of them, the Bihar Assembly elections mean nothing for Singh. Here's why. Singh owns 2 bighas of land and his only source of income is cultivating bananas. 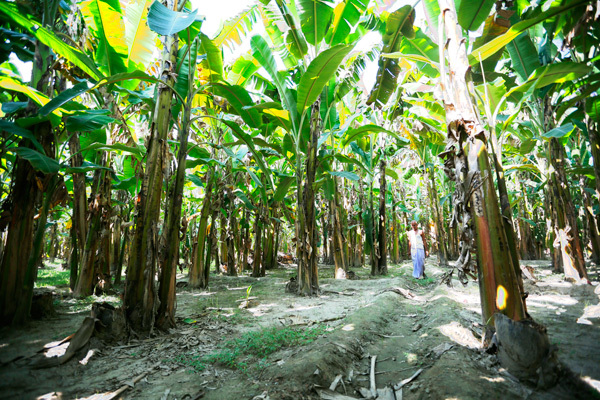 Banana farming is becoming increasingly unviable, making it extremely difficult for farmers like Singh to survive. "Only someone who doesn't have any other source of livelihood becomes a farmer these days. It is a big challenge to prepare a crop and sell it at an appropriate price," Singh says. "Governments come and go. Same empty promises are repeated time and again. But our situation has not changed for years," he adds. Singh points out that no party has offered anything substantial for farmers in their manifestos. "The land is drying up. Rainfall is extremely scanty. The only means of irrigation is through a diesel engine. It costs about Rs 150 per hour. You need to irrigate the banana fields at least thrice a month. But most farmers cannot afford diesel engines for more than twice every month. This is affecting the quality of the crop," Singh narrates. According to him, the government has consistently ignored banana farmers. "We don't get the benefit of crop insurance. In case of a natural calamity, only paddy and wheat farmers are given compensation. The government is oblivious of the fact that rainstorms affect us equally," he complains. Singh is not the only farmer who is complaining. 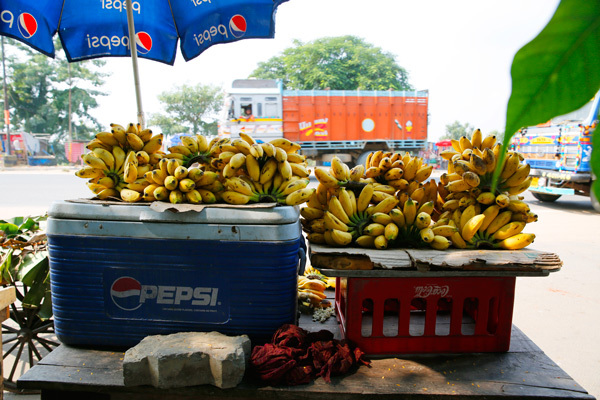 Around 30 villages in the region are known for producing what is known as the Hajipuria banana. 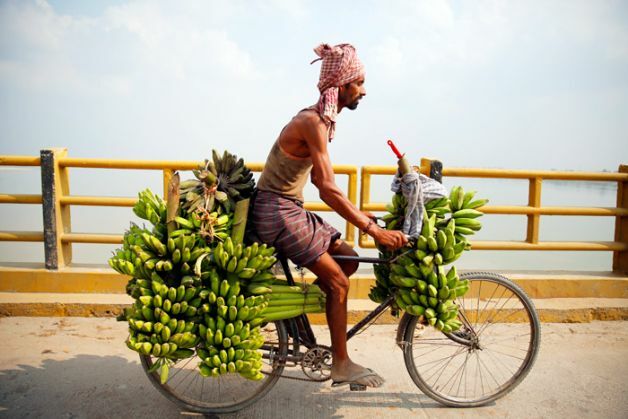 One can see many banana vendors sitting alongside the Mahatma Gandhi bridge while traveling from Patna to Muzaffarpur. Almost all these bananas are grown in Hajipur. This region falls under the Raghopur assembly constituency, which will vote on 28 October. As we speak to Singh, we are interrupted by a young looking man around 30-35 years of age, who appears from the thicket of banana leaves. Singh introduces him as Lallan. Lallan cultivates only bananas in the five bighas of land that he owns. He is even more outspoken than his friend Singh as he launches a tirade against everyone, from politicians to the media and even farmers themselves. "Farmers are suffering but they still can't unite as they get divided on caste lines," he says. He further says that the media is no different from politicians as they turn up in villages only during the election season. However, Lallan says this without even a hint of anger. His faint smile reveals that suffering has made him circumspect. "What can the government give us? We earn for ourselves. All the farmers here have been fighting mother nature for so many years and still managing to survive," he says. 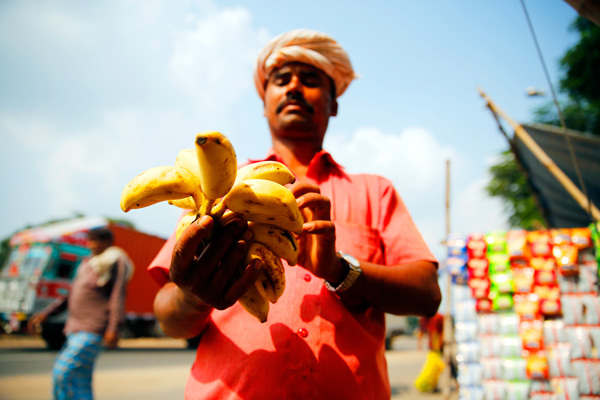 He states that he has to sell bananas at throwaway prices on the banks of the Ganga or at the Hajipur market. Lallan had barely finished when another farmer, Naval Prasad, jumps in. "There is no match for the Hajiupria bananas. Yet we don't find a adequate market," he says. "All we have are small markets that get flooded with bananas every season. We have no option but to dump our produce at whatever price is being offered," he adds. Prasad says that the region needs a big government market where farmers can get a respectable price for their crops. "It will enable the export of Hajipuria banana to all parts of the country. Currently, it does not go farther than Patna. If apples from Himachal Pradesh can be sold in the entire country, why should Hajipuria bananas by restricted to parts of Bihar," Naval complains. When this reporter asked the farmers whom they would vote for, one of them smiled and said, "now you've come to the real question. I was wondering why you were asking about agriculture for all this while". "We will vote for any candidate who promises to suffering of banana farmers. We have conducted a meeting in this regard. We will print a leaflet and hand it to every leader who comes here to ask for votes," he says. Naresh Prasad Singh carries the discussion forward: "Farmers of all castes have come together to work on this plan. These include Rajputs, Kurmis and some Yadavs as well." But can farmers unite across caste lines as Singh has claimed or will they remain divided as Lallan was complaining? Naval Prasad has an answer, "There is no guarantee but that doesn't mean we should not try. We are trying to forge unity among banana farmers. It is the only way to create some pressure and get access to bigger markets as well secure the benefits of crop insurance". For Hajipur's banana farmers, the battle won't end with this election. The great PR heist: did Amit Shah really scold the BJP hotheads?